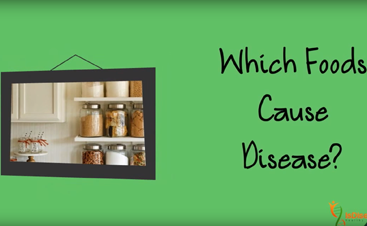 Healthy Food Myths #4 and #5 for Valued Subscribers | Is Disease Hereditary? Download my Colorful Carbs Cheatsheet (and a more ink-friendly version Colorful Carbs Cheatsheet – ink-friendly version) for ideas and inspiration to replace white carbs with colorful carbs! MYTH #4: A vegetarian diet is good for you. MYTH #5: Carbs are bad for you. Hey, I love all the great feedback and responses on my recent posts. THANKS to everyone who has posted questions to me directly or on the Is Disease Hereditary? Facebook page! It’s super inspirational to see you sharing your stories of successful food journeys. And I’m really excited to be able to provide you with information and answers to your questions to help you get through your current challenges. Continuing on from the 2 previous myths about eggs – the power protein – to talk about other sources of protein, leads us to another emotionally charged food topic – eating animal protein. Many people choose to not eat animal protein for apparent health reasons and others make this decision for ethical or emotive reasons. But I have often wondered…what if a decision from the heart was not best for you according to your genes? A thorough review of medical studies, known as a meta-analysis, found that consumption of a vegetarian diet was associated with lower blood pressure. Many other studies have also identified cardiovascular and metabolic health benefits of eating specific fruits and vegetables. Meanwhile, other studies have found no difference in overall rates of death between meat eaters and non-meat eaters. For example, a large study that followed more than 60,000 people in the UK found significant differences only in the types of diseases – not longevity – experienced among regular meat eaters (ate meat more than 5 times per week), low meat eaters (ate meat less than 5 times per week), and vegetarians. Plants have been shown to contain about 300 of the more than 500 amino acids known to exist in nature, including the 9 amino acids that are essential to humans. Your body uses about 20 amino acids to make proteins, of which 9 are considered to be “essential” – meaning you cannot make them from other nutrients and need to consume them directly from your food. It’s important to understand how incredibly important proteins are to human survival; they are second only to water as the most prevalent compound in the human body. Not only do proteins (and amino acids) form messengers of the immune system (ie, antibodies, interferons, cytokines) and hormonal messengers of digestion / metabolism (ie, insulin, glucagon, cortisol), they are also used to make the building blocks of DNA, control gene expression, and the activity of genes. Interestingly, however, nutrigenomic research is discovering that some people are genetically more capable of utilizing plant sources of nutrients than other people. For example, about 65% of people have the “A” version of the FADS1 gene and are better at converting plant sources of polyunsaturated fatty acids to omega-3 fatty acids than people without the “A” gene version. Those who lack the FADS1 “A” gene version (about 35% of the population) need to get omega-3 fatty acids, like EPA and DHA, from animal sources. Hypothetically, therefore, eating a vegetarian diet by choice could end up being at odds with your genetic makeup and increase your risk of disease, such that eating a vegetarian diet may not be good specifically for YOU. We’ll have to wait and see what is eventually revealed through the cutting-edge science of nutrigenomics – how food impacts your genes, and genes impact your food. The field of nutrigenomics and its application to personalized dietary advice is still a fairly new realm and not yet fully developed, but genetic-based diets are an exciting and emerging field. Some definite associations between food, genes and disease are, however, becoming established. For example, it’s been shown that people who have the ApoE 4 gene have a 90% increased risk of developing Alzheimer’s disease. So, consuming the right types and amounts of fats are vitally important for this small percentage of people in order for them to reduce their chances of developing Alzheimer’s. However, whether you eat animal meat or not, eating colorful plants as your source of carbohydrates has been shown repeatedly over the decades to promote health and longevity when compared to eating nutrient-poor, refined grain-based carbohydrates (ie, breads, pastas, cereals, pastries, rices). Which is the perfect segue into my 5th and final mythbuster. 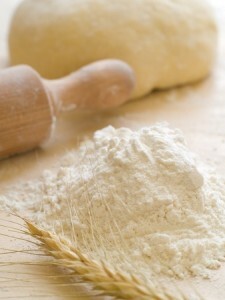 Many people mistakenly associate carbohydrates, or “carbs”, ONLY with processed (refined) grain products such as breads, pastries, pastas, and rices. In reality, these are “processed carbs” – BAD carbs. Decades of data show that these BAD carbs, especially when combined with unhealthy fats, are the culprit responsible for cellular inflammation – the origin of weight gain, chronic disease and cancer. Many people don’t realize that carbohydrates are also found in vegetables and fruit. Carbohydrates are generally the primary fuel source for your body. They are made from lots of sugar molecules stuck together. When you chew, the larger carbohydrate molecule breaks down into smaller sugar molecules. Your body uses a little bit of this sugar and then stores the excess in your muscles, liver, and fat cells. Processed carbohydrates are manufactured and have been stripped of nutrients and fiber so they are usually white or tan in color. When you chew processed carbohydrates, they are broken down very easily and release a big load of sugar very quickly (energy) into your blood stream with little to no nutrients (cell building blocks). This creates a stressful environment for your cells and leads to cellular inflammation, which initiates a series of chemical reactions in your cells that ultimately turns ON disease and cancer genes. In contrast, nutrient-rich colorful carbohydrates found in whole foods from in nature, such as vegetables and fruit, contain sugar molecules combined with fiber and lots of different vitamins, minerals, and polyphenols used as building blocks to maintain healthy cells. Polyphenols are what give vegetables and fruit their color and they provide powerful antioxidant as well as anti-inflammatory effects – that reduce cellular stress and inflammation. Polyphenols are also what give colorful whole foods their healing actions. Colorful carbohydrates deliver sugar to your body slowly, which makes your cells – and your genes – happy! Happy cells and genes initiate chemical reactions that turn OFF disease and cancer genes and turn ON health-promoting genes. The good news is that your body will begin healing itself with each colorful nutritious meal you eat. Are You Too Young To Feel Old? If you’d like an opportunity to Get your LIFE back – I would love to help you! It’s so rewarding to help people discover how easy it is to eat healthy and then watch them start to feel great again. When I shared this eating style with my family and friends, they loved it and had interesting results of their own. After helping my parents create a healthier kitchen and teaching them how to cook healthier meals, they noticed improvements in their health within the first week. – which also saves him more than $100 per month on prescriptions. Oh, and he lost 30 pounds! “…In the beginning, it was a push to give up processed carbs and dairy but after a while your past habits become the past. Thanks Renee, you have changed my relationship with food for good.” – Janine P.
I usually get a lot of questions before people decide if eating healthy is really for them. Most of the questions based on people not being well informed. 1. Can changing my diet really affect the odds of me getting a disease? Yes! About an 80% risk reduction in development of a major chronic disease (such as high blood pressure, cardiovascular disease, non-alcoholic fatty liver disease, dementia, etc) and a 93% reduction in the risk of developing diabetes has been demonstrated by results of the EPIC trial, one of the largest preventative nutrition trials in the world that has followed more than half a million participants in 10 European countries for more than 15 years. 2. How BIG of a diet change do I have to make? I don’t want to give up the foods I love and be miserable so that I can live to be 100 years old. You don’t have to make ANY changes at all! 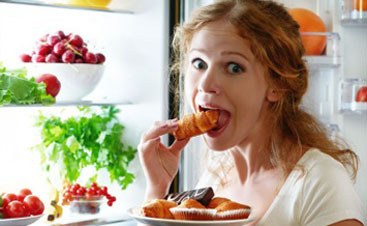 You get to choose which foods you want to keep or eliminate from your diet. The information and tools I provide give you actionable steps plus a foundational understanding of which foods promote disease and which ones promote health so that you can make an informed decision. However, as you start making healthy eating changes to your diet, you soon realize the control that “unhealthy” foods have on your mind, moods and hormonal balance…and soon understand how much better you can feel eating foods from nature instead of industrialized food products. 3. Are there any documented or actual cases of people improving their health and risk of disease by eating healthy foods? I came across hundreds of actual cases during my research. One in particular was a 49-year-old cardiologist who was overweight, had high cholesterol and high blood sugar – these are warning signs for diabetes, which increase your risk of cardiovascular disease. Cardiovascular disease and stroke ran in her family so genetically she had an increased susceptibility to having the same problems. After 6 weeks of eating a healthy gene-friendly diet as part of healthy lifestyle changes, she had reduced her cholesterol and blood sugar to normal thereby reducing her risk of chronic diseases that ran in her family. You can also read the Is Disease Hereditary? testimonials, plus hundreds more on The Whole30 testimonials website (one of the several approaches that I incorporate in my teachings). Tip on How To Start Eating Healthy! One of the toughest challenges people ask about is knowing the best place to start – the one change that will make the biggest impact. Refined carbs (sugar, bread, pasta, rice, cereal, pastries) are the biggest disrupter to metabolism. The easiest and most effective way to start creating happier genes and a more natural metabolism is to slowly use colorful carbs (veggies and fruit) to replace refined carbs. Each day, replace one refined WHITE carb with one natural COLORFUL carb. Tool To Help You Start Today! I’ve had so many people ask me, “Well, which colorful vegetables?”, that I created a Colorful Carbs Cheatsheet download (here’s a more ink-friendly version Colorful Carbs Cheatsheet – ink-friendly version). Print it out and put it on your fridge so you see it every day. Use it for ideas on vegetables you may not have ever considered. The most important thing is to have FUN with this. Try a new veggie every week, something you’ve never even heard of. Exercise those brain cells – get creative! This is how I’ve have helped other people use healthy food to create happy genes…by “empowering them with information” – evidence-based current information on what is and is not healthy based on the cutting-edge science of nutrigenomics. I’ve created lots of FREE information on my website that is everything you’ll need to learn why eating real whole food is important to your health, PLUS how to get started and create a supportive environment in your kitchen. If you have the time and determination to read through my blogs and sign up for my FREE videos, newsletters and challenges – you’ll have the tools and guidance you need to eat healthy and create happier genes – and a happier you. I’m cheering you on! Feel free to email or message me with any questions you have along the way. Many of you, however, lead busy lives and may not have the time to sort through the all of the information. If you don’t have the time or energy to read through all of the information to figure out which approach is a fit for you, then you’re in luck! If you like the information I’ve provided thus far and would like a bit more personal guidance, then I’d be super excited to help you. I can give you the information and tools you need to get the results you want in only a few meetings. In a small group setting, I can also provide more personalized options based on your current diet and lifestyle – because no one approach works for every person. Someone who has a diet high in refined carbohydrates and low activity needs a different path than someone with a diet low in refined carbs and higher activity. The tools and the end goal are the same but their respective paths are very different. I’ve compiled and simplified the information so that I can teach as well as advise you on what you’ll need to get the results you want. I’ll be offering a personalized group workshop opportunity to a limited number of you, my current subscribers, at more than 80% off my usual rates because this workshop is serving much like a pilot for the upcoming release of my online program. I want to keep the group small so that I’m able to offer you information tailored more specifically to your needs, therefore, I’ll be accepting only the first 20 applicants. So keep an eye on your inbox and respond promptly if you’re interested. I look forward to hearing from you. The program details for my Healthy Food – Happy Genes VIP Group Workshop will be sent in a follow up email tomorrow.